How do you take a Reuben—a classic Jewish-American sandwich served proudly by delis across the nation—and give it a new twist? In the case of chef Michael Fiorelli of LA's Love and Salt, it's all about the lamb tongue, as served in the Corned Lamb Tongue Panini. 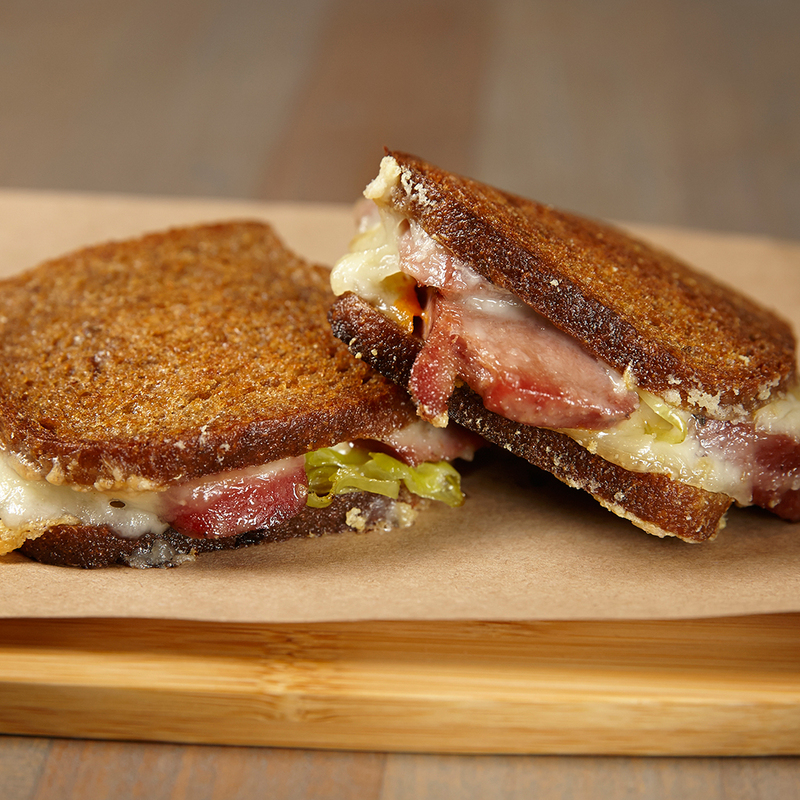 Though the squeamish may cringe, tongue is a fantastic sandwich filler—mellow in flavor and tender in texture. Fiorelli’s corned tongue is a great substitution for the traditional corned beef. And since a Reuben demands a blanket of melted cheese and a little something tangy, Fiorelli devised smart substitutes for those elements, too. The bread. Cocktail-sized rye toasts are the bread of choice for this vaguely Reuben-like creation. The filling. The corned lamb is the star, with melted Fontina cheese to drape over the top and bubble out around the edges. Tomato aioli further ups the flavor, and pickled peppers sub in for the sauerkraut.